There are 140,000 students in New Orleans who don’t possess a high school diploma; only approximately 8,000 were enrolled in a program in 2013. One barrier to increasing access is the capacity of providers to meet this need and demand as most operate at full capacity with few resources to expand. Adult learners also struggle with various barriers to enroll, including inconsistent transportation, family responsibilities, work schedules, and limited literacy/numeracy/digital proficiencies. 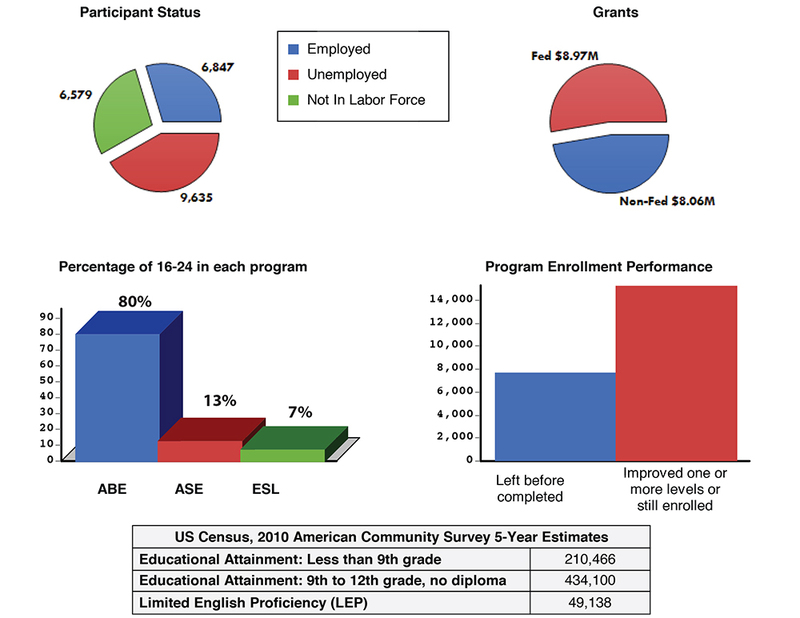 In May 2014, the Adult Education Program at Delgado Community College launched a completely online course, allowing students to study and prepare to earn a high school equivalency from anywhere with an internet connection. The eLearn Program was the first fully online adult education course in the state. Distance learning and emerging educational technologies are quickly and radically changing the educational process for teachers and students alike. Adaptive, interactive, and self-paced instructional models are being tested and proven in classrooms around the world. In adult education, distance learning and educational technologies are increasing access and opportunities for transformative learning experiences. Since launching in 2014, we’ve welcomed over 2,000 students to the online program. In 2016-17, eLearn expanded to a statewide model, allowing students anywhere in Louisiana to enroll with a local provider and access an online community of learners. Our joint partnership with the state agency that oversees adult education has enabled us to welcome 6 local providers with a statewide enrollment goal of 1,000 in 2017-18. We will continue scaling the model to reach new students and partner providers.